Great interaction with seals at the Farne islands off the Northumberland coast. Pictured here is an atlantic grey seal in the arms of seal enthusiast, Ben Burville. 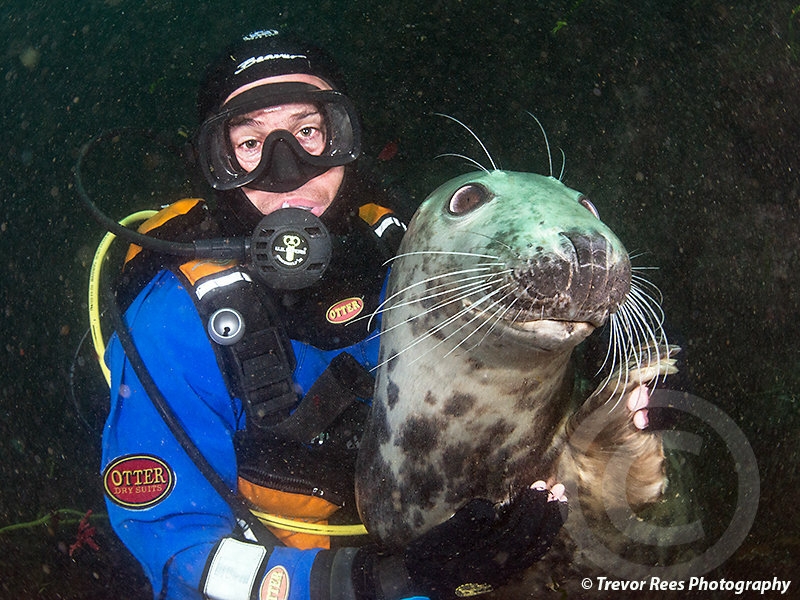 Some divers just seem to get more interaction with seals than others and Ben seems to know what he's doing. It's a combination of knowing the best spots and knowing how to arouse their playful interest. The Farne islands off the Northumberland coast are a reliable spot to get close to seals. I would have liked better visibility when I took this shot, but it was good enough to capture the moment.